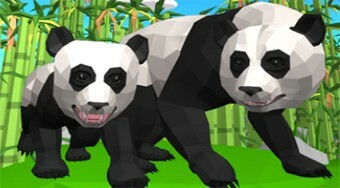 Do you like Panda Simulator 3D? Share it with your friends. Move in as cute pandas around the playing area, fill up your assigned tasks, fight other animals, and create a big family of pandas.